Teach Overseas job Asia: EXPERIENCE SOUTH KOREA! BACHELOR DEGREE HOLDERS REQUIRED FOR ESL JOBS! 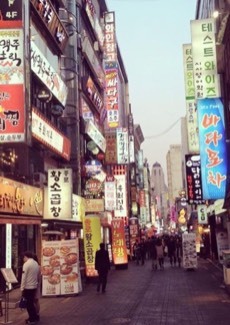 EXPERIENCE SOUTH KOREA! BACHELOR DEGREE HOLDERS REQUIRED FOR ESL JOBS! Do you have a passion for teaching and a thirst to experience life in South Korea? South Korea is often described as a hidden gem by those travelling far East Asia. Whilst tourists have been frequenting East Asia for many years, South Korea is still relatively unfamiliar territory to many. For this reason South Korea offers truly unique experiences for those with a thirst for East Asian culture, offering something different from the regular tourist trails. We think that teaching English as a second language is a perfect way to immerse yourself in South Korean life whilst experiencing the captivating culture of this beautiful country. If this sounds interesting to you, we have teaching roles available all over Korea including major cities such as Seoul and Busan. We require native level English speaking graduates with Bachelors degrees in any subject to teach English as a second language. We have roles available in schools and language centres, working with children and older students which can be suited to your preferences.